Create Your Own Customised Glass in these easy steps.. Type in the words or names you would like on your glass. Once the order is received an art proof will be sent to you for confirmation. Send through your logo and any other information. Once your order is received we will send you an art proof to approve. Send through your logo and any other information required on the awards and we will send you an art proof to approve. 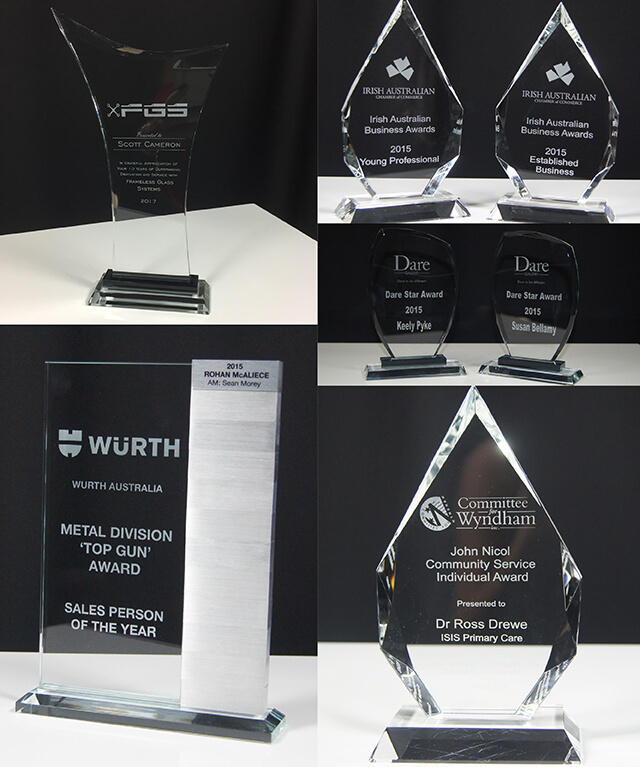 Are you looking for customised glasses, gifts or awards? We specialise in unique one off gifts as well as larger bulk orders. help designing something unique we’re here to help. Elegant, classy, sophisticated, unique and appealing, our etched glassware has all these qualities and so much more! 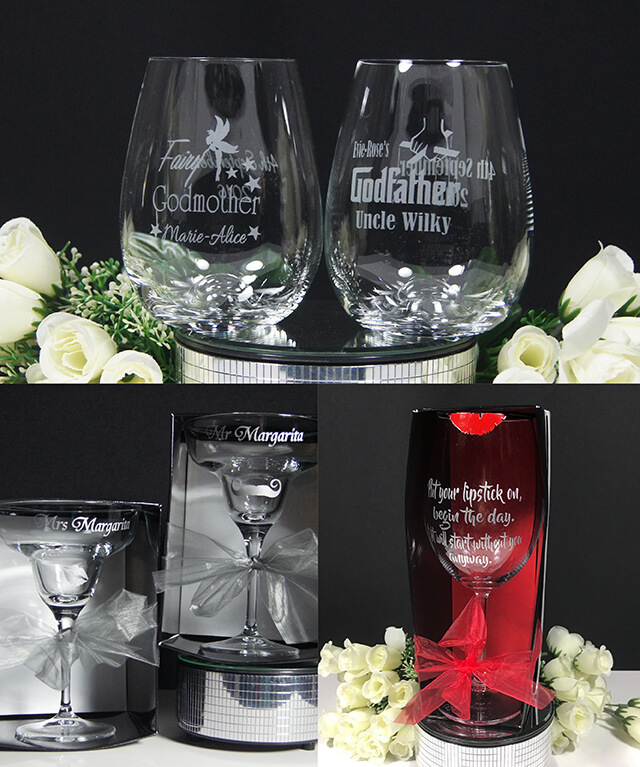 Groovy Glass is your one stop destination for getting the best quality of all kinds of personalised and customized etched glassware that can be used to make all your celebrations even more special and personal! Our collection of premium quality etched glassware can be used as single gift items you need to present to a loved one or a close family member or friend. Regardless of how simple or complex the design may be, we can handle all order sizes without compromising quality of our work. We are the small run specialists when it comes to corporate glassware. 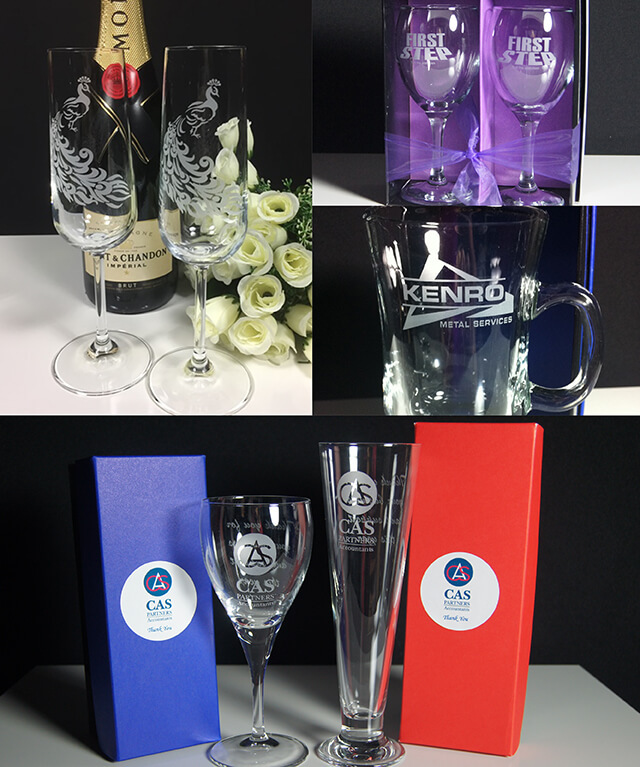 Mark your special occasion with a personalised glass for your next corporate event.